Please make sure blower air hoses and zipper openings (for quick deflaton) are closed when in use. Q: Can we use Inflatable Bouncers in rain9 A: We do not recommend especially for heavy rain. Please specify the items and order quantity you need with any special requirements if you have. 2). Alibaba.com offers 52,681 inflatable bouncer products. About 84% of these are inflatable bouncer, 2% are advertising inflatables, and 1% are children chairs. 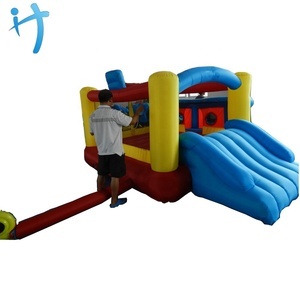 A wide variety of inflatable bouncer options are available to you, such as free samples, paid samples. 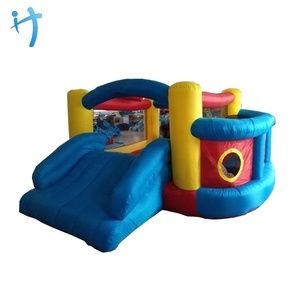 There are 52,459 inflatable bouncer suppliers, mainly located in Asia. The top supplying countries are China (Mainland), United States, and Bulgaria, which supply 99%, 1%, and 1% of inflatable bouncer respectively. 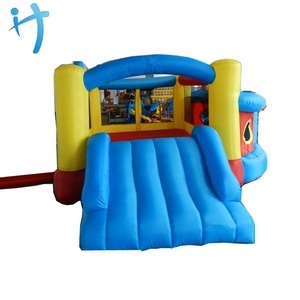 Inflatable bouncer products are most popular in North America, Western Europe, and Domestic Market. You can ensure product safety by selecting from certified suppliers, including 5,563 with Other, 4,552 with ISO9001, and 1,648 with BSCI certification.